Berlin's fascinating political history as you've never experienced before. Underneath the cobbled streets, parks, and historic buildings, lie kilometres of tunnels, bunker, subways and communication networks. 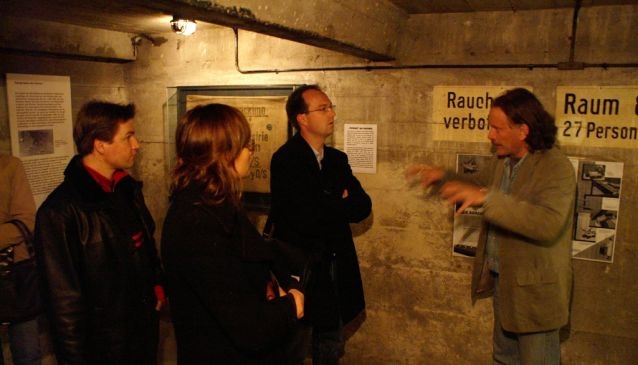 Berliner Unterwelten has been working since 1997 to uncover, and preserve some of these historic underground places for future generations and part of their work is providing tours to these fascinating places. Join them for an unforgettable tour of a WW2 bunker or go on search of cold war shelters and subway stations. They aslo house a permanent exhibition called 'Myths of Germania', highlighting the urban plannigin Berlin during the Nazi era. They offer four English speaking tours, two of which, Dark Worlds and Subways and Bunkers in the Cold War, run all year round.